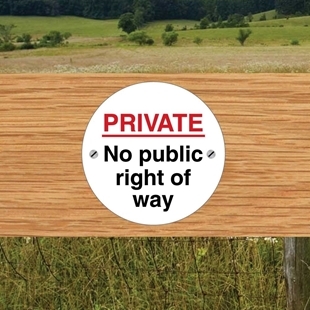 This robust sign is printed in the style of a traditional english street sign showing the no through road symbol. Fully Weatherproof and unbreakable. 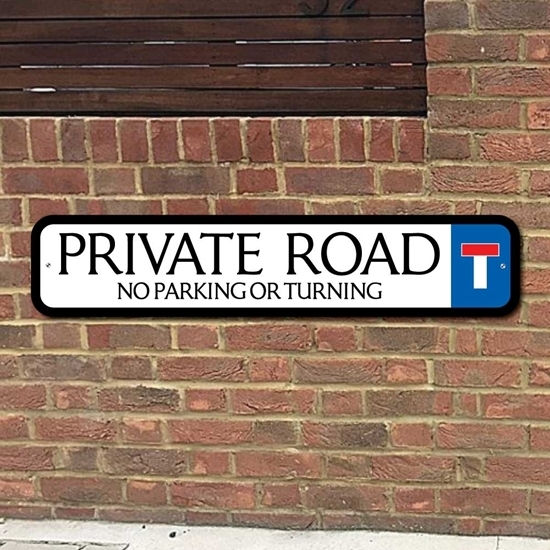 This robust sign is printed in the style of a traditional English street sign showing the no through road symbol and text "PRIVATE ROAD, NO PARKING OR TURNING"